LLANGORSE LAKE is a large, natural lake of approximately 400 acres. 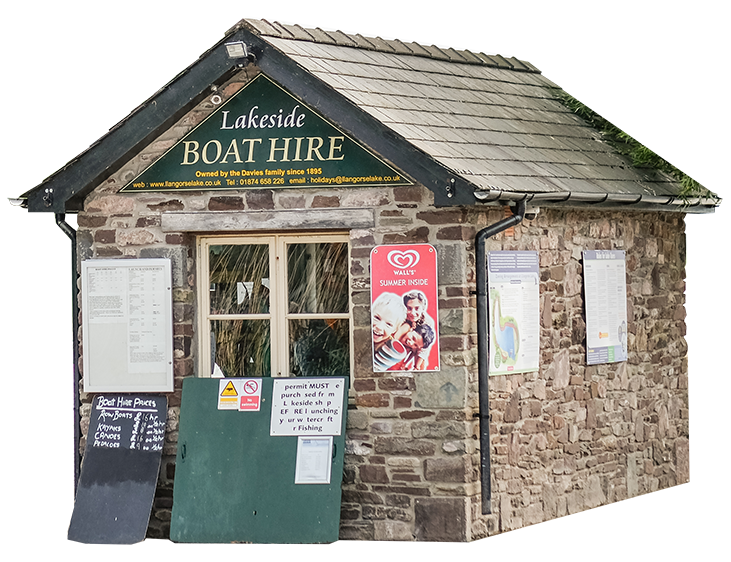 It is owned by the Llangorse Lake Conservation and Management Co. Ltd, who issue permits for boating, using your own craft and fishing on the lake. Lakeside Caravan Park acts as the sole agents of the company for the sale of permits and for the day-to-day operations of all activities on the lake which are subject to permits and the condition of issue. THE SCALE OF CHARGES for 2019 permits and a set of rules and conditions are set out below, permits will be on sale in the reception area of the Lakeside Caravan Park Shop. It is necessary to pay for launching as well as buying a permit when you take your own craft onto the lake. If you are bringing your craft from a waterbody that has an invaisive species eg Zebra Musssels, Killer Shrimp, access to the lake will be denied if biosecurity measures have not been taken. Click here for further information. PLEASE NOTE: There is a 8 kilometres per hour (5 m.p.h.) speed restriction on the lake for motorized craft, other than for safety boats and boats towing a water skier/ring/wake boarder.You may be declined use of the lake if it is felt that your boat is not capable of maintaining the speed limit. It is important that you are aware of all the conditions relating to the use of the lake. Copies of the rules are available. All anglers must have a valid Environment Agency rod licence. (Rings, etc) Can only take place between 14/03/19 and 09/11/19. For other categories are valid from 01/02/19 to 31/12/19. Can be bought individually on a daily basis or in blocks of five consecutive days when a 20% DISCOUNT will be given. If you camp on our site or stay in one of our caravans and buy 5 consecutive day permits we will not charge the normal launching fee. Lake Permits are not for commercial use. When using the lake you need to be aware of your own limitations and the prevailing weather conditions, and are reminded that all water activities are potentially hazardous and undertaken at your own risk. We advise the use of buoyancy aids to all lake users. It is not advised to go onto the lake whilst under the influence of alcohol! The Company and their Agents reserve the right to ban any boat or person from using the lake if necessary and to impose any time and or zoning conditions/rules whenever they deem necessary.